G and G Fire Protection, Inc.
A properly installed and maintained sprinkler system can protect your property and people 24/7 by providing a shower of water to any fire until help arrives. Frequent inspections and compliance help to maximize the integrity to your system to avoid failure and ensure fast, effective response in a fire emergency. 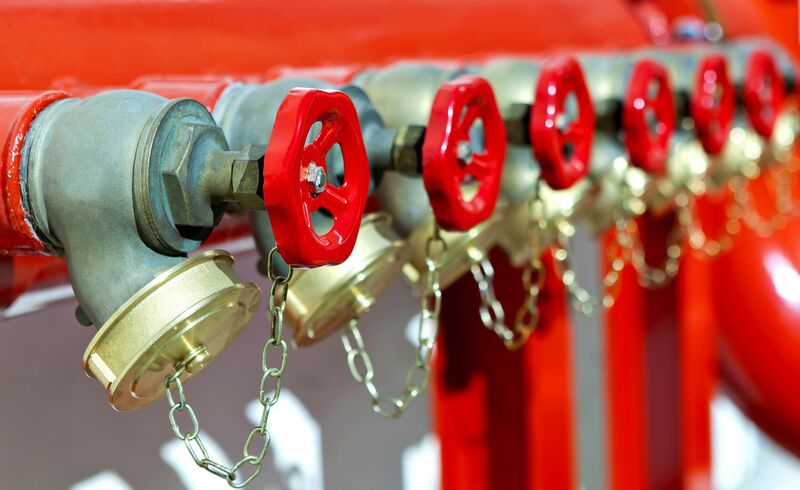 G & G is a certified, full-service fire protection supplier, with trained technicians on staff to inspect, maintain and repair your commercial water-based sprinkler system. 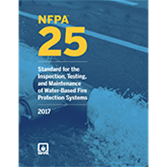 We are governed and regulated to standards for the "Inspection, Testing, and Maintenance of Water-Based Fire Protection Systems" in the NFPA 25 Compliance Standard. G & G provides controlled testing on a monthly, quarterly, semi-annual, or annual basis. Your insurance company or local fire department can assist you in determining the frequency of testing for your particular location. If you think you might possibly be interested in an inspection service contract for your facility, please contact us directly and we would be more than willing to furnish you with a quotation tailored to meet your needs, at no cost or obligation to you. Our professional service department technicians are on call 24 hours a day - 365 days a year. 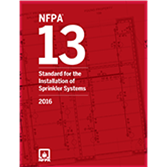 The 2016 NFPA 13: Standard for the Installation of Sprinkler Systems help designers, engineers, contractors, and installers develop the best fire sprinkler defense for any occupancy. G & G Fire Protection is well versed in the standards for installation in commercial and retail environments. 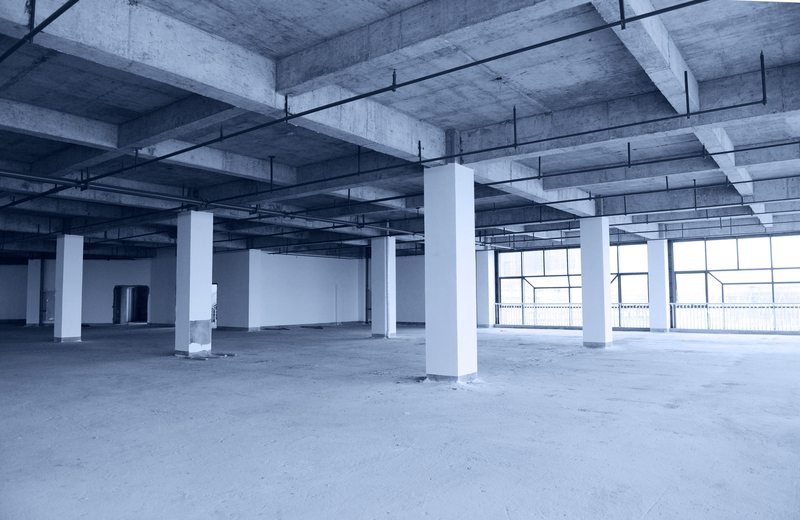 Let's schedule a conference call to discuss your needs for existing and new construction sites. That makes it essential that the specification, design, installation and testing of fire protection systems closely follow accepted industry fire protection standards. It is important that all design parameters are available to contractors before a customer obtains bids for a new fire protection system. A vague specification will result in a vague bid. To select the appropriate specifications for an installation, information about the building and its intended occupancy must be known. Based on this information, the owner’s engineering representative should prepare detailed fire protection specifications. A safety margin of at least 10 psi or 10 percent should be specified. The insurance carrier’s written agreement to the specifications can help prevent coverage problems once the design is already completed. Most fire protection contractors specialize in one area of fire protection. The owner should know whether subcontractors would be used because of the possibility of mechanic's liens. Once bids are received from installing contractors, the owner’s agent should thoroughly review them. It is extremely important that a contract specify that final payment is subject to final acceptance by review agencies such as the insurer, fire department and building officials. In general industry practice, the fire protection contractor prepares the design drawings. The owner's engineering representative should thoroughly review the drawings and calculations. The insurance carrier should accept them before they are submitted to the local jurisdiction for approval. Installation should not begin until written approval has been obtained from all review agencies. Otherwise, major changes could result after the system has already been installed and the additional costs passed on to the owner. This step requires verification that both the design and installation specifications of the fire protection system have been met. It also requires nondestructive acceptance testing. Additional safeguards are needed because testing under actual performance conditions is not feasible. All reviewing agencies must be notified of the test date so that they may send representatives to witness the test. The failure to have representatives of all agencies present may lead to requests to repeat the test. LIMITATION OF LIABILITY THE CONTRACTOR MAKES NO WARRENTIES, EXPRESSED OR IMPLIES, INCLUDING, WITHOUT LIMITATION, WARRENTIES OF MERCHANTABILITY AND/OR FITNESS FOR A PARTICULAR PURPOSE. No promise not contained herein or affirmation of fact made by an employee, agent or representative of the Company shall constitute a warranty by the Company or give rise to any liability or obligation. Contractor’s liability to Subscriber for personal injury, death, or property damage arising from performance under this contract shall be limited to the contract price. Subscriber shall hold company harmless from any and all third party claims for personal injury, death, or property damage arising from Subscriber's failure to maintain these systems or keep them in operative condition, whether based upon contract, warranty, tort, strict liability or otherwise. In no event shall the Company be liable for any special, indirect, incidental, consequential, or liquidated, penal or any economic damages of any character, including but not limited to loss of use of the Subscriber's property, loss of profits or loss of production, whether claimed by the Subscriber or any third party, irrespective of whether claims or action for such damages are based upon contract, warranty, tort, strict liability or otherwise. 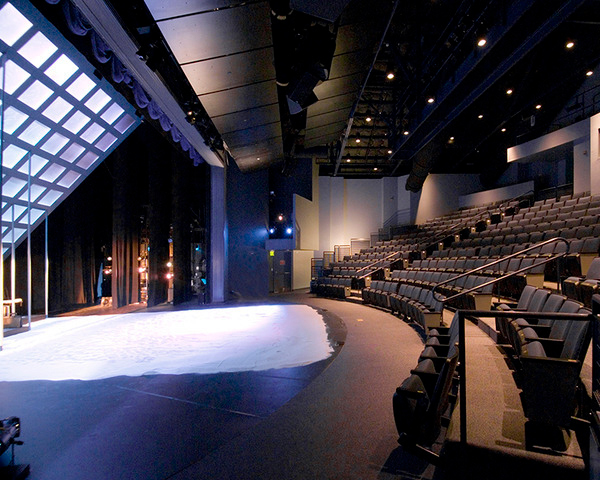 Working in a 200-year-old architectural landmark that holds 380 seats presented a number of challenges during the renovation for G&G Fire Protection. Along with all the other contractors, we literally had to design and install the fire protection system from the roof down on a complex scaffolding system. There was no room for error and no going back up once the scaffold was taken down. The result was an innovative and unique approach to install the system to an infrastructure that was still being built. The project was completed on time and within budget. 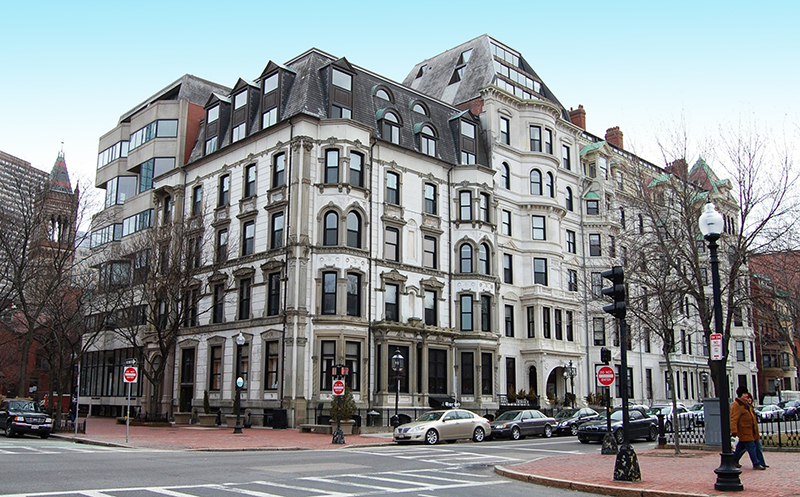 Once a Grand Hotel on Boston’s Commonwealth Avenue, it is now a historical landmark of both Residential and Commercial property. G&G recently brought all the testing valve stations, piping, and alarm devices up to code per NFPA standards. Keeping all the existing tenants happy while introducing a construction site into their lives and homes was the challenge here. Our technicians out performed themselves once again. 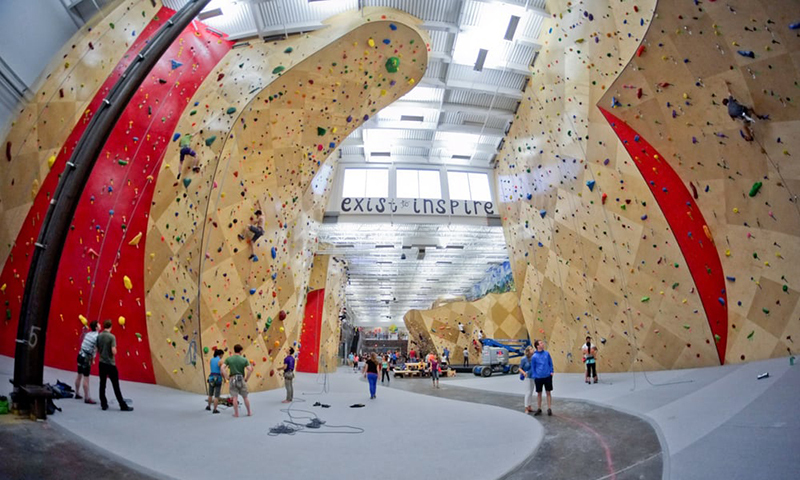 Brooklyn Boulders builds and operates active lifestyles facilities that foster community through rock climbing, fitness, arts + culture, active co-working, and events. The unusual architecture made installing the fire protection system a bit more interesting. The term "breaking new ground" was certainly appropriate for this project. 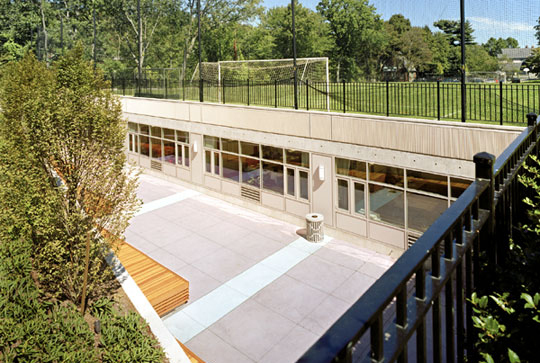 The Brimmer & May School were installing a new below ground classroom with a new athletic field over the top of the classroom. 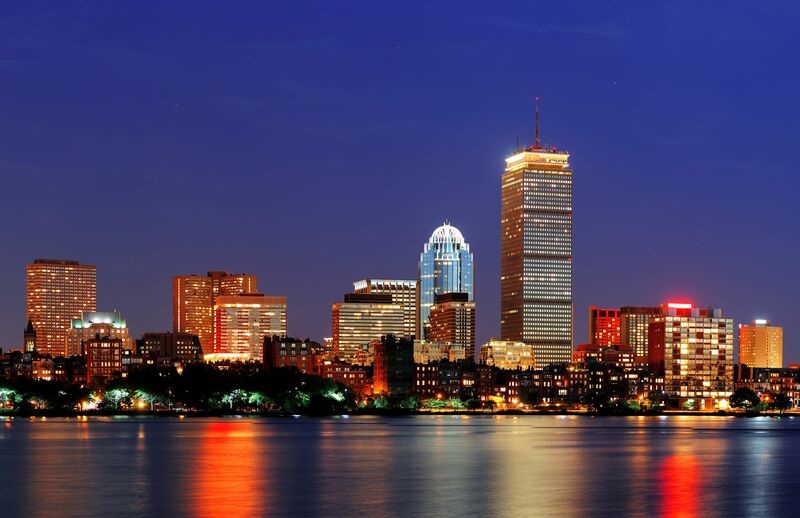 This project came with many new challenges for all the trades as it was the first of its kind in Massachusetts. The classrooms are now full, and the athletic field hosted a number of events this past fall. 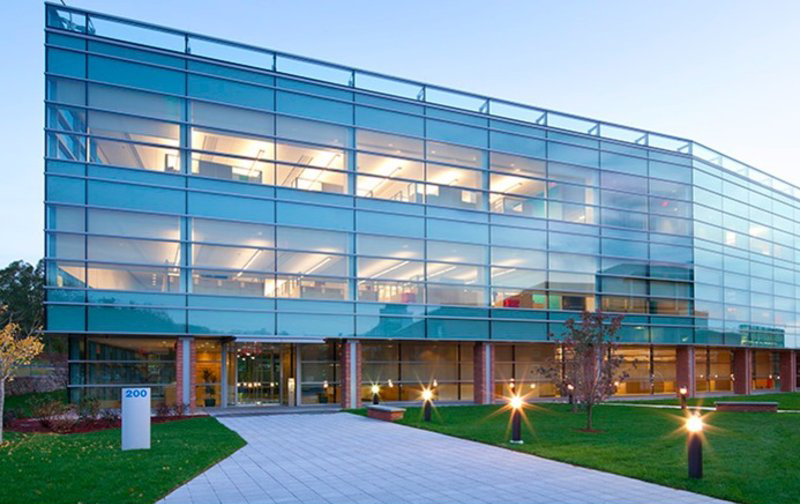 Repurposing a biopharma center in Lexington to manufacture biotech drugs for clinical trials and commercial sales, develop auto-injector devices and wearable infusors to deliver medicines, and to work on technology that can connect drug-device combination products to smartphones and computers. The National Fire Protection Association (NFPA) has no record of a fire killing more than two people in a completely sprinklered public assembly, educational, institutional or residential building where the system was working properly. Cases in which fatalities occur in a building equipped with fire sprinklers, the deceased are almost always in intimate contact with the fire and were burned severely before the sprinkler activated (i.e., smoking in bed, explosions, etc. ), Sprinklers typically reduce chances of dying in a fire and the average property loss by one-half to two-thirds in any kind of property where they are used. The cost per square foot can vary widely due to great differences in installation requirements so this question can be answered effectively only after a review of the occupancy. A system installed in a warm-climate area with ample water supply and good water pressure will cost much less than a system installed in a cold-climate area with poor water pressure or an undependable/inadequate water supply. New installations will cost much less than retrofit installations. Generally speaking, most new construction will be in the range of $1-$2/sq.ft., while retrofits will be in the range of $2-$3/sq.ft. Are fire sprinkler systems required in all high-rise offices, public assemblies, and hotels/motels? No, they are not always required. Many buildings were built prior to modern-day standards are were "grandfathered" so a retrofit was not required. Some local jurisdictions have seen the many advantages of fire sprinklers and required building to be retrofited over a period of years. Why are fire sprinklers required in some areas, and not in others? Why are there variations in sprinkler requirements? Fire sprinkler systems are installed in accordance with consensus standards developed through the National Fire Protection Association (NFPA). These standards are very specific in defining how sprinklers are to be installed in different types of occupancies and different hazard classifications. The three primary standards that define the installation requirements are NFPA-13 (Installation of Sprinkler Systems); NFPA-13R (Installation of Sprinkler Systems in Residential Occupancies Up to and Including Four Stories in Height); and NFPA-13D (Installation of Sprinkler Systems in One and Two-Family Dwellings and Manufactured Homes). The standards adopted by NFPA represent the best recommended practices, but the standards by themselves are not "law." Development of the consensus is a dynamic process and the standard is changed to reflect new technologies, science, and experience. Every three years a new version of the standard is issued that contains changes and updates. The requirements for the installation of fire sprinklers are adopted as law by state or local jurisdictions as a part of their building code or local ordinance. At times jurisdictions may vary some of the requirements contained in the NFPA documents. Differences in requirements will vary from city to city based on local changes made to the NFPA standards, or the year of the standard adopted by the local jurisdiction. For example, if one city adopts the 1999 NFPA 13 standard, and another city adopts the 2002 issue of the same standard, there will be differences. How often should I have my fire sprinkler system tested? The minimum testing would be annually and the maximum would be quarterly. Your local fire department will notify you as to when and how often this should be done. G & G can help schedule your inspection and testing needs. Keep in mind, only a certified technician can test and certify your fire sprinkler system. Call G & G Fire Protection today. The results of the inspection and/or test shall be detailed on the G AND G FIRE PROTECTION's then current report form which shall be distributed to the CUSTOMER and any designee of CUSTOMER. Prior to G AND G FIRE PROTECTION performing any tests, the CUSTOMER must notify any alarm monitoring companies, the local fire department, and all occupants and tenants. Emergency or additional inspections requested by the CUSTOMER will be furnished at an extra charge and be subject to all terms and conditions of this Agreement. In the event additional equipment is installed or the systems are modified after the date of this contract, the annual inspection charge shall be increased in accordance with G AND G FIRE PROTECTION's prevailing rates as of the first inspection of the additional equipment/modification. Testing and treatment of the water supply, and any costs associated therewith, are not covered by this Agreement and are the sole responsibility of the CUSTOMER. Equipment is available that is designed to monitor for conditions that can contribute to internal corrosion inside the water based fire protection system installed in your facility. Such testing and treatment can be provided pursuant to a separate written agreement. The inspection and testing services provided by this Agreement are designed to determine the functionality of the inspected systems at the time of the inspection/test. The inspection and testing provided under this Agreement does not include: maintenance, repairs, alterations, or replacement of parts or any other field adjustments. G AND G FIRE PROTECTION may choose to offer such services at an additional charge, but is not obligated under this Agreement to do so. The inspections and testing provided under this Agreement are NOT a system survey or engineering analysis of the system, its installation and/or its design. Inspection and testing services under this Agreement are not intended to reveal design or installation flaws or code compliance violations. Any suggested improvements itemized on any inspection and/or testing report do not constitute an engineering review of the fire protection/suppression system installed in your facility. To the extent such are itemized, they were noticed while conducting an inspection and test of your fire protection system in accordance with applicable NFPA Inspection and Testing Guidelines; however, such items are not part of the NFPA required inspection and test. G AND G FIRE PROTECTION makes no guarantee or assurance that all defects or deficiencies in the systems have been itemized. The scope of work under this Agreement is limited to the provision of inspection and testing services. G AND G FIRE PROTECTION is not required to move personal property, equipment, walls, and ceilings or like materials which· may impede access or limit visibility. Areas that are concealed are excluded from the inspection. G AND G FIRE PROTECTION does not warrant that the equipment or systems inspected/tested will meet or comply with the requirements of any fire or life safety code, or regulation of any state, municipality or other jurisdiction of CUSTOMER's particular location. G AND G FIRE PROTECTION makes no warranty as to the quality of work performed by others or the functionality and design of the originally installed/modified fire sprinkler/suppression or alarm system(s). G AND G FIRE PROTECTION makes no warranties, express or implied, regarding the adequacy, performance or condition of any fire protection/suppression or notification equipment. G AND G FIRE PROTECTION cannot and does not guarantee that loss or damage will not occur. The parties hereto agree that it is impractical and extremely difficult to fix the actual damages, if any, that may proximately result from failure on the part of G AND G FIRE PROTECTION to perform any of its obligations hereunder. CUSTOMER does not desire that this contract provide for full liability of G AND G FIRE PROTECTION and agrees that G AND G FIRE PROTECTION shall be exempt from liability for Joss or damage due directly or indirectly to occurrences, or consequences there from, which the inspection and/or testing is designed to detect or avert. If G AND G FIRE PROTECTION shall be found liable for loss or damages due to a failure of inspection and/or testing in any respect, G AND G FIRE PROTECTION's liability shall be limited to the lesser of a sum equal to one-half (1/2) of the current annual inspection charge paid (or to be paid) by the CUSTOMER or $1,000.00 as liquidated damages and not as a penalty. The amounts payable to G AND G FIRE PROTECTION hereunder are based upon the value of the services and the scope of liability as herein set forth and are unrelated to the value of the premises, CUSTOMER's property or the property of others located in CUSTOMER's premises. IN NO EVENT WILL CONTRACTOR BE LIABLE TO CUSTOMER FOR ANY INCIDENTAL OR CONSEQUENTIAL DAMAGES OF ANY KIND. LIMITATION OF LIABILITY AND WARRANTY – NO EXPRESS OR IMPLIED WARRANTIES - THE CUSTOMER UNDERSTANDS AND AGREES THAT G AND G FIRE PROTECTION HEREBY DISCLAIMS ALL IMPLIED WARRANTIES OF ANY KIND OR TYPE INCLUDING BUT NOT LIMITED TO ANY IMPLIED WARRANTY OF MERCHANTABILITY AND ANY IMPLIED WARRANTY OF FITNESS FOR ANY PARTICULAR PURPOSE. THE CUSTOMER FURTHER UNDERSTANDS AND AGREES THAT G AND G FIRE PROTECTION MAKES NO EXPRESS WARRANTIES AS TO THE SERVICES RENDERED, AND THAT NO REPRESENTATIVE OF G AND G FIRE PROTECTION HAS ANY AUTHORITY TO MAKE ANY WARRANTIES OR OTHERWISE VARY THE TERMS OF THIS AGREEMENT. G AND G FIRE PROTECTION is not an insurer against loss or damage. Sufficient insurance shall be obtained by and is the sole responsibility of OWNER/CUSTOMER. CUSTOMER agrees to rely exclusively on CUSTOMER's insurer to recover for injuries or damage in the event of any loss or injury to the premises or property therein. CUSTOMER does hereby, for itself and all others claiming by or through it under this Agreement, release and discharge G AND G FIRE PROTECTION from and against all damages covered by CUSTOMER's insurance, it being expressly agreed and understood that no insurance G AND G FIRE PROTECTION, insurer or other entity/individual will have any right of subrogation against G AND G FIRE PROTECTION. G AND G FIRE PROTECTION will make every reasonable effort to prevent the discharge of water into or onto areas of landscaping, decorative pavement, etc. CUSTOMER must provide sufficient and readily accessible means to accept the full flow of water that may be required by tests as determined by the type of inspection and accepts all liability for water discharge. If any provisions of this Agreement shall be invalid or unenforceable under the laws of the jurisdi􀂜tion applicable to the Agreement, such invalid or unenforceable provision(s) shall be severed from the Agreement and the Agreement shall be construed as if not containing the particular invalid or unenforceable provision(s), and the rights and obligations of G AND G FIRE PROTECTION and the CUSTOMER shall be construed and enforced accordingly. Attics are excluded from this agreement unless after the G AND G FIRE PROTECTION's investigation and in its sole discretion the attic and its entry are deemed safe and accessible. Only those attics having a floor-level entry door with stairs, pull down stairs, and/or a permanently mounted access ladder will be considered for inclusion in the agreement. Further, only those attics having appropriate, permanently attached flooring and appropriate lighting will be considered for inclusion in the agreement. Assessment of the suitability of access, flooring and lighting is solely within the discretion of the G AND G FIRE PROTECTION. Any attic deemed safe and accessible must be specifically listed on the front of the Agreement to qualify for inclusion in the Agreement. To the extent that any attic is included in the agreement, only such equipment as is safely visible and accessible from the floored area of the attic will be subject to the agreement. The person executing this Agreement on behalf of the CUSTOMER, expressly warrants and covenants that he/she is the authorized representative of the Owner of the premises and is authorized to enter into this Agreement for and on behalf of the Owner or Owner's designee. CUSTOMER has reviewed and is familiar with the National Fire Protection Association Standard 25 (NFPA 25) and understands the requirements and consequences of failure to comply with the requirements therein. CUSTOMER shall comply with the requirements of NFPA 25. CUSTOMER is responsible for maintaining all fire protection equipment in good, working order as outlined in the applicable NFPA Standards and any and all local rules, codes or standards applicable to the jurisdiction where the system(s) is/are located. This Agreement contains the entire understanding and final expression of Agreement and supersedes and replaces any previous Agreements between the parties. This Agreement may be amended only in a writing signed by both parties. THIS AGREEMENT IS SUBJECT TO ALL TERMS AND CONDITIONS INCLUDED HEREIN. G AND G FIRE PROTECTION will perform the services described on the front of this CUSTOMER Work Order (the Work). No other services are included. The amount payable to the CUSTOMER for the Work is based solely upon the value of the services performed and is unrelated to the value of the CUSTOMER's property and/or the property of others located inion the premises. CUSTOMER makes no guaranty or Warranty that equipment or services supplied by G AND G FIRE PROTECTION will detect or avert occurrences or the consequences there from that the equipment or services are designed to detect or avert. CUSTOMER is on notice that the system(s)/device(s) listed on the face of this CUSTOMER Work Order will be temporarily or permanently disconnected and no longer in service and thus, cannot detect, perform and/or report occurrences or transmit signals. Where new work is connected to an existing system, any deficiencies detected in the existing system during testing or charging of the system are the responsibility of the CUSTOMER and are not covered by any warranties that may be applicable to the Work. CUSTOMER releases G AND G FIRE PROTECTION from any and all claims regarding the existing system and any damage or injury caused by or to the existing system. It is impractical and extremely difficult to fix the actual damages, if any, that may proximately result from failure on the part of G AND G FIRE PROTECTION to perform any of its obligations under this CUSTOMER Work Order. Accordingly, CUSTOMER agrees that, G AND G FIRE PROTECTION shall be exempt from liability for any loss, damage or injury arising directly or indirectly from occurrences, or the consequences there from, concerning any repair of the system. Should G AND G FIRE PROTECTION be found liable for any loss, damage or injury arising from a failure of the equipment or service in any respect, G AND G FIRE PROTECTION's liability shall be limited to the lesser of $1,500. or an amount equal to the CUSTOMER Work Order price. Where multiple sites are covered by one CUSTOMER Work Order, liability will be limited to the amount allocable to the site where the incident occurred, subject to the preceding sentence. As a condition precedent to any claim or lawsuit against G AND G FIRE PROTECTION, all-outstanding invoices must have been paid in full when due, without compromise on amounts owed. In no event shall G AND G FIRE PROTECTION be liable for any damage, loss, injury, or any other claim arising from any servicing, alterations, modifications, changes or movements ·of the covered system(s) or any of its component parts by the CUSTOMER or any third party. G AND G FIRE PROTECTION shall not be liable for indirect, incidental or consequential damages of any kind, including but not limited to damages arising from the use, loss of use, performance, or failure of the covered system(s) to perform. G AND G FIRE PROTECTION WARRANTS THAT ITS WORKMANSHIP AND MATERIAL (the Work) FURNISHED UNDER THIS CUSTOMER WORK ORDER WILL BE FREE FROM DEFECTS FOR A PERIOD OF THIRTY (30) DAYS FROM THE DATE SAID WORK IS COMPLETED. G AND G FIRE PROTECTION AGREES TO REPAIR OR REPLACE THE WORK PROVIDED THE WORK HAS NOT FAILED DUE TO CIRCUMSTANCES UNRELATED TO THE MATERIALS OR WORKMANSHIP FURNISHED BY G AND G FIRE PROTECTION. EXCEPT AS EXPRESSSLY SET FORTH HEREIN, G AND G FIRE PROTECTION DISCLAIMS ALL WARRANTIES, EXPRESS OR IMPLIED, INCLUDING BUT NOT LIMITED TO ANY IMPLIED WARRANTIES OF MERCHANTABILITY OR FITNESS FOR A PARTICULAR PURPOSE WITH RESPECT TO THE SERVICES PERFORMED OR THE PRODUCTS, SYSTEMS OR EQUIPMENT, IF ANY, SUPPLIED HEREUNDER. CUSTOMER agrees to indemnify, hold harmless and defend G AND G FIRE PROTECTION, to the fullest extent permitted by law, against any and all losses, damages, costs, including expert fees and expenses including reasonable defense costs, arising from any and all third party claims for personal injury, death, property damage or economic loss, including specifically any damages resulting from the exposure of workers to Hazardous Conditions whether or not CUSTOMER pre-notifies G AND G FIRE PROTECTION of the existence of said hazardous conditions, arising in any way from performance of the Work or the Work whether caused in whole or in part by the CUSTOMER, whether such claims are based upon contract, warranty, tort (including but not limited to active or passive negligence) strict liability or otherwise. G AND G FIRE PROTECTION reserves the right to select counsel to represent it in any such action. G AND G FIRE PROTECTION makes no claims and/or representations as to the presence currently or in the future of corrosion inducing matter, i.e. microbiological organisms, contained within the water supply. G AND G FIRE PROTECTION recommends that the water supply be tested and, as needed, treated. Testing and treatment of the water supply and costs associated therewith are the sole responsibility of CUSTOMER. Any such testing must be pursuant to a separate written agreement. The terms and conditions set forth in this CUSTOMER Work Order shall inure to the benefit of all parents, subsidiaries and affiliates of G AND G FIRE PROTECTION, whether direct or indirect, G AND G FIRE PROTECTION's employees, agents, officers and directors.